A man is in custody in Florida after after the Palm Beach County Sheriff's Office said he drove his car into a canal and then tried to drown a police dog. PBSO says the incident began when a deputy attempted to stop a speeding vehicle. The 25-year-old driver, whose name has not been released, pulled into a parking lot then fled the scene and almost struck the deputy’s marked car. The driver struck a curb at some point and fled. The vehicle became disabled and came to a rest near an intersection. PBSO said the driver then ran into the SR-80 canal. A K-9 team, PBSO helicopter and Fire Rescue responded began searching for the driver, who was located and taken into custody. 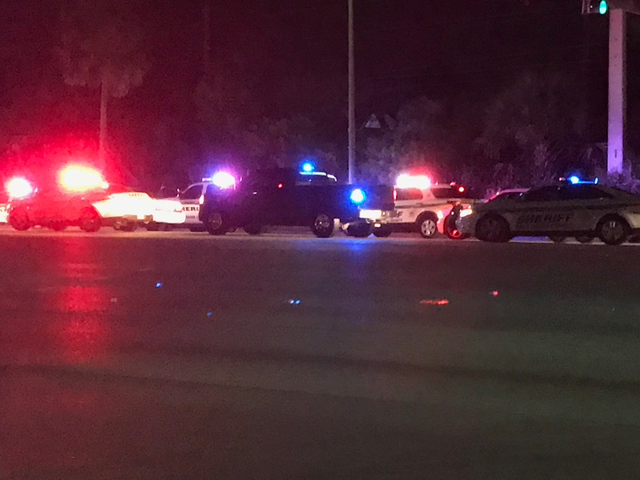 PBSO said the suspect, who was transported to a local hospital for hypothermia and minor lacerations, tried to drown the police dog before he was apprehended. Investigators said the man's vehicle contained crack, heroin and marijuana. The driver will be charged with possession with intent to sell heroin, cocaine and marijuana, fleeing and eluding, aggravated assault with deadly weapon on law enforcement officer, resist arrest without violence, battery on police dog and animal cruelty.